Pay attention to what area of Belgium you are in, in terms of communicating. The country has three official languages: French, Dutch and German. In Brussels, the capital, people usually know French and Dutch. Sometimes educated people know English and German on top of this! The Dutch language is more common in the Northern part of the country, and you’ll find more German speakers on the east side, closer to Germany. Other common languages are Italian, Spanish, Greek, Arabic and Turkish; about 10% of the population is non native. Belgium can’t be described solely as a single country with a single identity and heritage, even if it is so small. However, there are some mainstream characteristics that are common all over the country. People are very loyal to their families, and take obligations seriously. 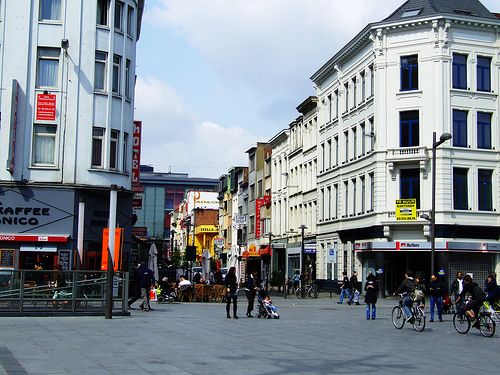 Many Belgians live in the same towns for life, and this creates a society of extended families. Belgians are also often very concerned with appearance. They care about the look of their houses, and will go as far as to clean the pavement or sweep the street around them. They keep their gardens very neat. They also care about personal appearances, and they dress nice and are concerned about their personal impressions. In terms of gender relations, Belgium respects egalitarianism. Women often don’t change their names when they marry, and don’t expect to be paid for on dates. There are many laws that forbid sexual harassment in the work place, as well as laws that govern paternity and maternity leaves. In terms of greeting, it is usually pretty formal between people who do not know each other. New people will often shake each other’s hands firmly. When women begin to know other men or women well, they will kiss on the cheeks, but men stick to shaking hands. If you get invited to a Belgian home, you should bring flowers or nice chocolates for the hostess. You should spend time picking out some good quality chocolates, as it’s a central part of their culture and they have high standards. Stay away from giving white chrysanthemums, since they are reserved for mourning. You should give flowers in an odd number, just not 13. Only bring an alcoholic gift if you are going to the house of a close friend, not someone you just met. 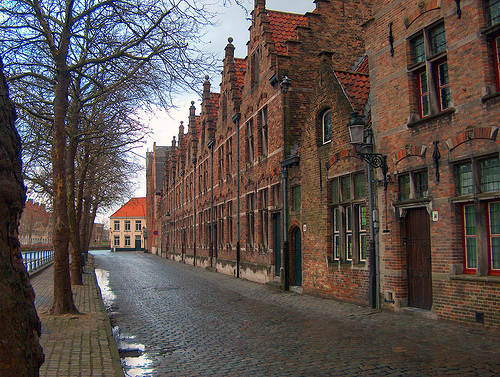 Belgians often have social occasions in homes and restaurants. They’ll usually reserve their homes for close friends and families. If you are given a written invitation to a party, you should give a written response. You should arrive on time; when you arrive, wait to be introduced to other guests by the host. Wait to be told to be seated. Dress conservatively, as that shows respect. Wait to see if your host wants to toast to something before you start on your drink. Flemish people are known to raise their glasses two times during a toast, once during the toast and once at a completion. After you complete your meal, don’t leave any food on your plate, and compliment the host about the cuisine. Dutch isn’t just more common in the Northern part of Belgium. That Nothern part of Belgium is called ‘Flanders’ and about everyone speaks Dutch there. Then there is the Wallonian regian in the South where people speak French. A very small part against the borders of Wallonia with Germany where German is spoken. I am a native Belgian and after having read the text fully, I can say there is not a single thing I recognize a typical Belgian in. We don’t pay particuraly much attention to our appearance, nor the one of our houses or gardens. We don’t necessairily bring something with us when we go on a visit (depends on how formal it is and how much you feel like bringing something, of course). Let alone it must be chocolates; flowers seem much more common. Or a bottle of alcohol, why not? If you truly want to learn about Belgium and our customs, do not take this text serioiusly.